• Is your Guitar cracked? Is the Neck Angle wrong? Are the Frets dented? Do you have Fret Buzz? • You want new Pick-Ups installed? A new Nut, or Saddle? Bridge work? • Does your guitar stay in tune? No matter how well you tune it are there certain chords that always sound off? 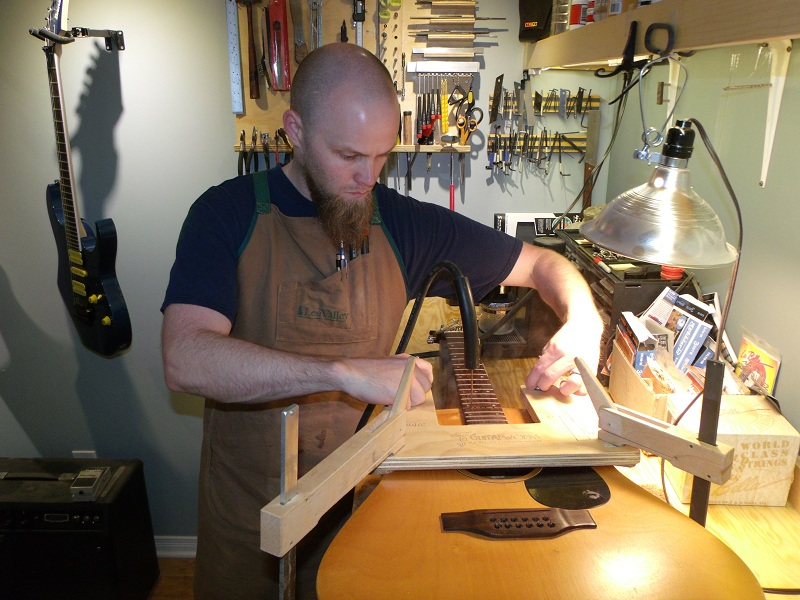 Ottawa Luthier Sean Thompson has performed most types of repairs hundreds, in many cases thousands of times. Sean says that the most rewarding parts of his work is a guitar owners' reaction to the guitar playing better than it ever has, and knowing that the world... sounds... just a bit better from his efforts.